The spinal vertebrae have two small guiding joints between each pair of vertebrae. These are the size of our knuckle joints but are flat sliding joints. They can be strained in the neck by twisting the head quickly or working in confined spaces, keeping the head in an awkward position for too long and very commonly in road traffic accidents. The joint when it is strained may either swell up or lock. If it locks there will be dull pain and stiffness particularly on rotating the neck e.g. difficulty reversing the car. 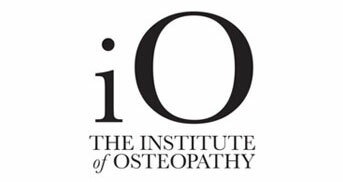 Osteopaths can quickly release the locking with manipulation which releases the joint often with a small pop. 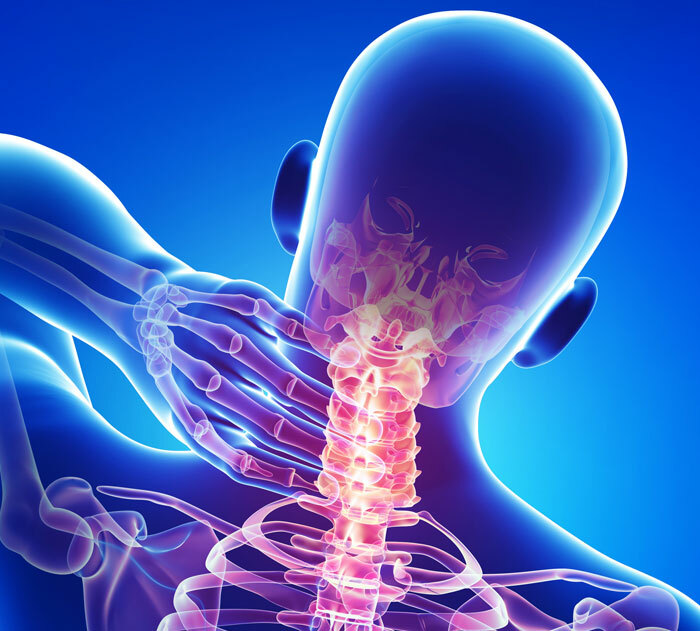 If the joint swells the pain is much sharper and the body wants to relieve the pressure on the swelling so your head will be held bend forwards and away from the pain. The swelling usually takes 3-5 days to reduce with rest , ice packs and gentle movement. Once the swelling is gone the joint will lock up and need releasing. Disc problems are far less common in the neck than the low back. Problems occur when a tear develops in the wall of the disc between our vertebrae. The disc is like a jam donut with a thick wall and a soft centre. If the wall develops a tear the jam presses against the wall and the wall often bulges out. Disc tears are very common but frequently cause no pain. Most people have them without knowing as the inside of the disc does not have any pain sensation. However if the bulge presses on one of the adjacent nerves this will produce pain often in the arm and may be associated with pins and needles , numbness or muscle weakness. Osteopaths can’t mend the tears but the body is very clever and will do so given the right encouragement. 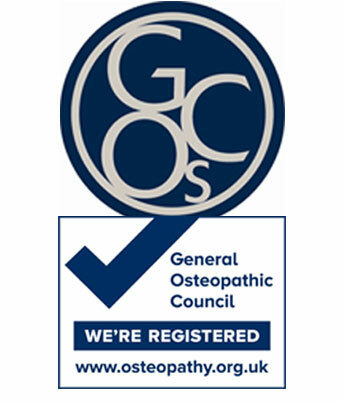 Osteopaths help by giving you advice on the best management. They help by reducing any protective muscle pain and ensure the spine stays flexible, to improve the speed of repair which normally takes 12 weeks. Problems in the neck are very frequently associated with other conditions particularly with the shoulder. A number of muscles are shared between the neck and shoulder. If the shoulder is injured these will tense and pull onto the neck which often brings out any underlying problem there , causing neck pain. Shoulder pain is usually felt in the side of the upper arm it is commonly mistaken for a nerve pain originating from the neck, this is why your Osteopath will do a thorough examination to ensure a clear diagnosis of your problem. 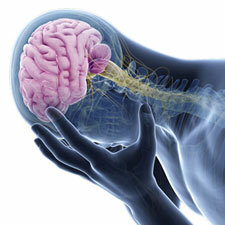 Headaches are often associated with neck problems. Headaches have 101 causes however the two commonest are often seen by Osteopaths. Headaches at the back of the head or spreading from there over the top of the head, may be caused by neck problems and particularly by tension in the muscles connection to the back of the head. This is frequently produced by occupational problems and stress. The second variety is pain over the temples and behind the eyes, this is commonly produced when people clench or grind their teeth. Again often associated with stress grinding teeth at night often produces a headache on waking in the morning. If the headache is during the day this is usually clenching which we do when your mind is focused on other tasks writing, using a keyboard or driving. Headaches can have more serious causes and any sudden onset of severe headache should be checked by your GP particularly if there are any associated symptoms e.g dizziness, nausea, vomiting or disturbance in your vision.